Emergency Dentists USA is your premier resource for choosing a wonderful Columbus emergency dentist for your terrible toothache or painful abscess. Our comprehensive listing of Columbus emergency dentists includes after hours dental clinics that are open for dental emergencies even on the weekend or in the evenings. Simply scroll through our convenient listing of Columbus emergency dentists to choose a dentist who has office hours that suit your needs or a location that is close to home or your hotel. We even include area hospitals that can handle a dental emergency that comes from an accident or an injury like a fall. Emergency Dentists USA provides dental listings that include office hours, driving directions and information regarding the services offered at each dental clinic. Select our 24-hour dental hotline to speak to a live operator who can assist you in choosing the right Columbus emergency dentist for your dental emergency. He or she can also help you to set up your first dental appointment. Columbus, Georgia has a large selection of great emergency dentists who are standing by to care for your terrible toothache or lost filling. On Emergency Dentists USA, you will find a comprehensive listing of these dental clinics with their office hours and driving directions. Walk-in dental clinics – Dental clinics that allow patients to come in without an appointment are not common in the Columbus area. Remember that area hospitals have emergency rooms that are open 24-hours a day and never require an appointment. Emergency 24-Hour Dental Clinics – Clinics that specialize in being open 24 hours a day are not available in Columbus. There are a variety of great Columbus hospitals with emergency rooms that offer medical and dental care 24-hours a day. After Hours Dentists – Columbus has a large selection of after hours dental clinics that provide dental care to patients even on the weekends. You can choose from Kool Smiles Dentist, Gentle Dentistry-Columbus, Valley Healthcare System and Family Dental Care for evening, early morning or weekend appointments. Emergency Dentists USA is a great resource for locating the right Columbus emergency dentist for your dental emergency. Our convenient listing of Columbus emergency dentists is designed so that you can scroll through the directory and choose the dentist closest to you or who offers the hours and services that suit your schedule. Call our 24-hour dental emergency hotline to speak with a live operator who can help you to find a great Columbus dentist and schedule that first appointment. DescriptionThis is one of the biggest college towns in the United States, and many students pass through here yearly. If you find yourself in acute pain in the middle of the night, call our emergency dental hotline, and see just how fast we can locate you a splendid professional. If you are looking for a full service medical facility that offers a wide range of emergency services then you need to take a close look at Valley Healthcare. 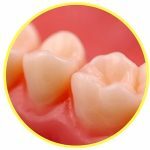 Finding a dentist open on Saturday in Columbus, Georgia is a real gem of a discovery because there is no doubt an unpredictability associated with many dentistry problems. You may be at your wits end trying to locate a weekend dentist in Columbus, GA or any qualified dental professional that can treat and prescribe whatever you need to make that pain go away. Identifying a facility that advertises walk in dentistry in Columbus, GA services throughout the day and hopefully on a Saturday and Sunday is indeed a challenge. Dr Swords does not shy away from rendering emergency dental services. His full service dental clinic can perform all forms of general dentistry, including cleanings, bleaching, veneers, extractions, fillings, crowns and bridges, and mini implants. Dr. Swords has 25 years of experience in the field, both in the Air Force and private practice. His staff has an exceptional high amount of experience and expertise. Together the team has over 120 years of dental experience. Open from 8 a.m. until 5 p.m. on Monday through Friday with Saturday hours for those dental emergencies that strike suddenly on the weekend, the kind and friendly dentists at Kool Smiles Dentist make it simple to get your dental emergency handled quickly. 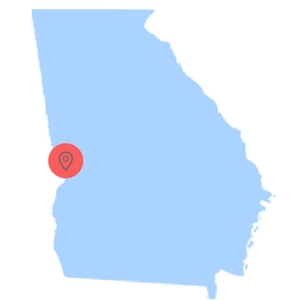 From a painful toothache to restorative services, Kool Smiles Dentist is a full service dental office with several locations in Georgia and other states. Choose a pediatric dental specialist like Dr. Brandice Allen or Dr. John Ambrose for pediatric dental emergencies or visit one of over 10 general dentists who are available when you need them. Kool Smiles Dentist has quality dental services and takes a large range of dental insurance plans including Medicaid. Offering affordable dental care for every patient, the kind and gentle dentists at Gentle Dentistry-Columbus offer Saturday appointments when you are suffering with a terrible toothache or a painful abscess. Dr. Leerssen, Dr. King and the entire staff at Gentle Dentistry-Columbus make you feel like family when you arrive. The large staff of hygienists makes it simple to have the entire family receive their routine dental care at the same time, so that you can get on with your day. From examinations and cleanings to dental implants and root canals, Gentle Dentistry-Columbus is a full service dental office with state-of-the-art dental equipment designed to keep you comfortable and happy during your dental emergency. – A Columbus emergency dentist is similar to your regular dentist. Most emergency dental clinics offer routine dental services like cleanings and x-rays along with emergency services like extractions. – Have your paperwork, health records, and insurance information ready. Bringing your paperwork with you to the dental clinic means that your dentist is able to choose the best treatment plan for your dental emergency. – Arrive 15 minutes early to facilitate filling out paperwork. This also gives you plenty of time to ask any questions that you might have regarding your dental procedure. – Most Columbus emergency dental clinics accept a variety of payment types. This includes cash, credit cards, personal checks and some offices even offer low-interest payment plans for dental services. – Make sure you know if your insurance is accepted at this dentist. Choosing an in-network dental clinic means saving money on your dental bill. – Let your Columbus emergency dentist know if you are allergic to any medications. Bring a list of your current medications with you to the visit. – Do you have intense dental anxiety or fear? Let the dental staff know that you are experiencing anxiety, and they can help you to relax during your procedure. The city of Columbus is a wonderful place to spend a vacation or simply enjoy the gorgeous skyline along the Chattahoochee River. Regardless of the reason for your vacation, a dental emergency can definitely take the fun out of your visit. Some of the most common dental emergencies include painful toothaches or cracked or broken teeth. These types of emergencies are treated daily by Columbus emergency dentists who offer great service when you need it most. The common 24-hour dental emergencies include soft tissue injuries to the tongue, the lips and cheeks, an abscess that affects the gum or soft tissue of the mouth and lost fillings that can become quite painful. Other dental emergencies include teeth that are knocked out, loose or lost crowns and braces or brackets that are loose with wires that are broken. You might encounter something that is caught between your teeth or even a tooth that is damaged due to a fall or other type of injury. Reading advice on the EmergencyDentistsUSA.com website is not a substitute for seeing a medical professional. Since every situation is unique, you should see a dentist for any of the situation described below. A lost filling is a common dental emergency that is often addressed by a Columbus emergency dentist. The lost filling might not be painful, but the cavity of the tooth is exposed to food and other debris that causes it to continue to decay. You can place a small piece of sugarless gum into the cavity to protect it from food debris until you are able to visit your Columbus emergency dentist. Do not use gum with sugar as this can be painful when used to replace the missing filling. 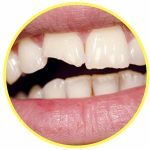 A chipped or broken tooth is a dental emergency that sometimes includes soft tissue damage to the lips or cheeks. Gather any pieces of the tooth that you are able to find. Rinse your mouth with water and use a small piece of moistened gauze to control any bleeding. A cold compress can be applied to the outside of the mouth to lessen any swelling or pain caused by the chipped or broken tooth. Visit your Columbus emergency dentist as soon as possible to have the tooth repaired or replaced. Knocked out teeth are a common dental emergency that might stem from a fall or a sports injury. In those cases, visit your hospital emergency room as soon as possible to ensure that there are no other more dangerous injuries. Rinse your mouth with water and apply moistened gauze to any area that is bleeding. Use a cold compress to lessen pain and swelling outside of the mouth. If you are able to find the tooth, grasp it only by the crown and avoid touching the root. Place the tooth in a small container of milk or Save-a-Tooth and bring it with you to see your Columbus emergency dentist as soon as possible. It is possible that you might require an emergency tooth extraction if your tooth has decayed past the point where a dentist is able to repair it. It is important to have the extraction accomplished immediately to lessen the possibility of complications or pain. Your dentist generally begins the procedure by taking an x-ray of the tooth and performing an examination. He or she then chooses a local or general anesthetic to ensure that you are comfortable during the procedure. A special dental tool is used to pry the tooth from the gum, and the gum is then stitched closed using a type of suture that dissolves over time. 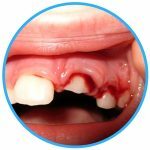 A small piece of gauze is placed over the gum and full healing usually occurs within one to two weeks of the extraction. Following your emergency dental procedure, it is important to take any medications prescribed by your dentist as they are directed. Try to avoid eating hard foods or drinking through a straw for the first few days following the extraction. Avoid drinking alcohol or smoking until the gum is fully healed. There are several options for replacing a tooth that include a dental implant or even a dental bridge depending on the location of the extraction. Visiting a hospital emergency room for a dental emergency is a great idea if you have a dental problem that comes from an accident like a sports industry or a fall. Most hospital emergency rooms are not designed to treat common dental problems like a broken tooth or a painful toothache. Visiting an emergency room rather than your Columbus emergency dentist generally costs more and might even require a visit to the dentist anyway. Choose a Columbus emergency dentist for any dental emergency that does not begin with an accident or injury. Keep in mind that a visit to your Columbus hospital emergency room is another option for a dental emergency that strikes after hours or on the weekends. This is especially important if your dental issue stems from an accident or a sports injury or fall. Check out your new Columbus emergency dentist online at the American Dental Association’s website to ensure that he or she is properly licensed and credentialed in the state of Georgia. You can also access the Georgia Dental Association’s website to learn about brushing techniques and find information on dental credentialing in the state of Georgia.